Smarter Email means having the ability to automatically forward, sort, collaborate, and schedule. Absolute Care delivers results, by enabling our clients with the latest TLS2 compliant email delivery, and SHA256 encryption. Whether you need just plan old Basic Mail, or Smarter Auto Encrypted Emails, you can bet Absolute Care has the solution. No doubt emails are very important to every modern business. Whether it be daily communications, sending contracts, vital attachments, or record keeping, our email systems are ready to provide the latest technologies. Email has evolved to be an integral part of every business, and that’s why we deploy the latest SPAM protection, Backup Systems, and Long Term Archival systems available. Protecting your business using the latest SPAM prevention, and pre-scanning your emails to prevent the latest virus threats or malware, are but a few things we do to ensure a reliable email delivery system for our clients. In addition, we provide the latest local and cloud backup systems to keep your emails safe. We can even offer long term archival systems to ensure we retain long term copies of your email, perfect for litigation, or compliance purposes. We keep your email safe and compliant by utilizing the industries best encryption standards. Our Encryption methods are performed on key systems before, during and after storage to ensure safe guarding of all contents and information. Whether our clients need a simple email address or full featured Exchange Services, we can monitor, protect, and maintain both on premise or cloud email systems. EMAIL ENCRYPTION: High-grade encryption is available on all email systems to ensure you protected and secure. Reliability is further increased by our systems by “Cache” and “Fail-over” email capture systems. All emails that are undeliverable due to hardware, or power failure, are automatically captured and ready for re-delivery or accessible through your web browser. Whats that mean for compliance and Business? It means not accidentally loosing a vital message, or let accidental or intentional deletion occur. Keep messages safe, and secure on a whole new level. 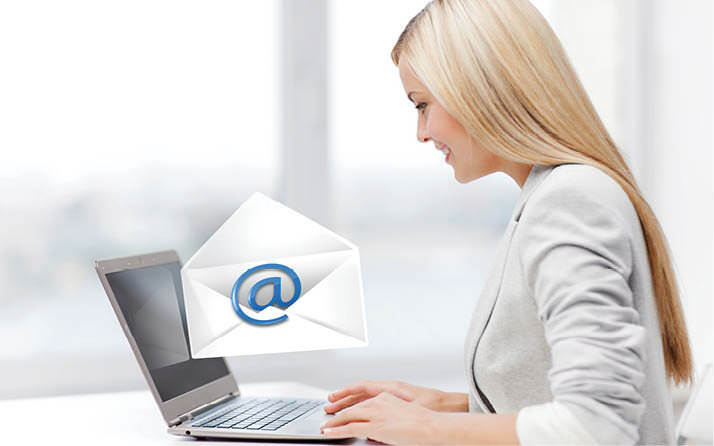 The latest in email technology, we can host and set up your Outlook Exchange email. Ask about our “Private Virtual Cloud” servers today if you are concerned about the privacy of your data. Not ready for Cloud-based email solutions? We can host your email on your server, or ours to ensure safety and security. HIPAA, SOX, PCI/DSS we got you covered. Emails with Minimum of SHA256 Encryption, used to secure, and meet nearly ANY compliance requirement. Easy to use interface makes training a breeze. Not sure which email service is right for your business needs? Talk to our team today and we will happily assist you.